Along with Chris Hamamoto, Danny Skitsko, and Jack Koloskus, I helped design and develop the website for CCA’s annual Concept Lecture Series. This year’s theme revolved around toolbreaking and glitches in design, so we decided to bend and break an OCR to translate a user’s input. 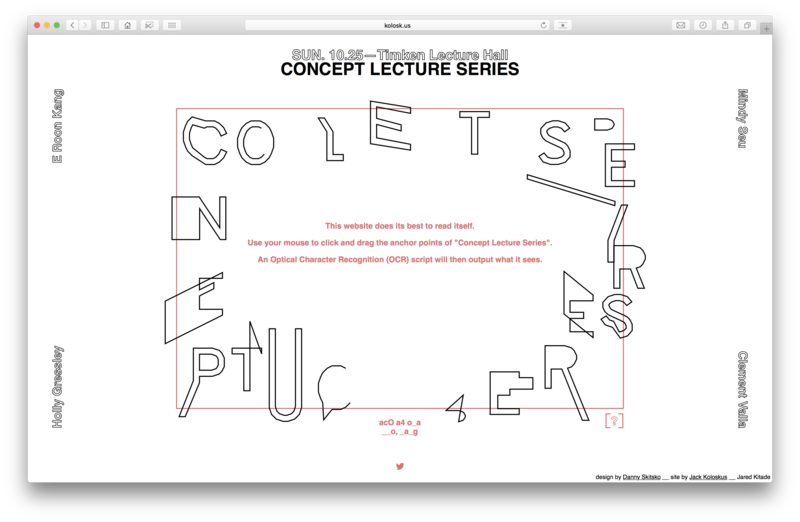 Starting with a warped version of the phrase “Concept Lecture Series”, we encouraged users to manipulate the letterforms which would then be interpreted and output by the OCR script in real time. People could spell completely different words, or try and trick the script into outputting the most characters possible. The result is a strange interaction between human and machine. An entirely new phrase could be drawn out, yet totally misunderstood by the OCR. Or, perhaps you create an illegible collage from which the script derives some hidden meaning. A working version of the site can be found here. 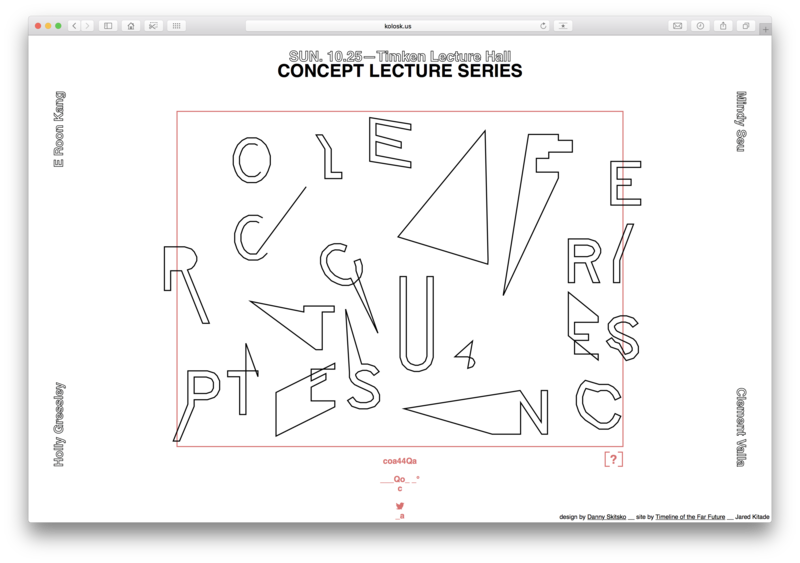 Default state of the site where you can read the phrase "Concept Lecture Series" and read more about each of the speakers. 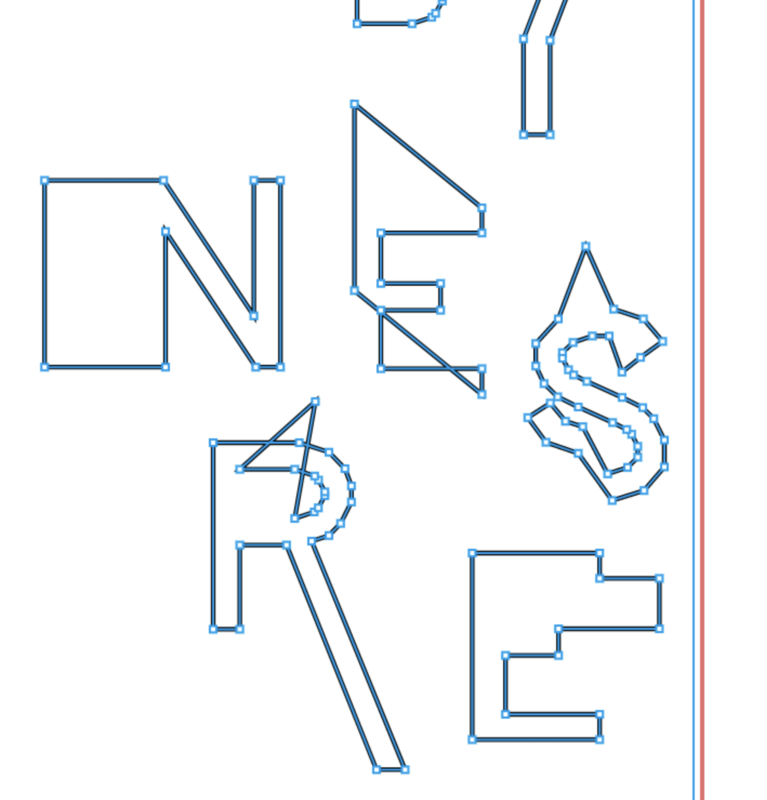 An example of how the page could appear after the letterforms have been distorted and rearranged. You can see that the OCR has "read" the page differently at the bottom. A short description explaining how the site works and how to interact with it.